If you have been looking for a product you can purchase to use around the house to kill or control insects without worrying about your pets or children, look no further. 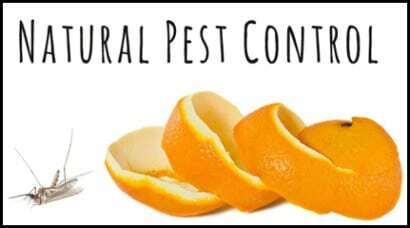 This all natural pest control product continues to get rave reviews and it works to kill most insects on contact! It’s called Orange Guard and the primary ingredient is orange peel extract, which makes it smell great. All of the ingredients in this product are GRAS – Generally Recognized As Safe by the FDA. It is 100% bio-degradeable and water soluble. Orange Guard has been around since at least the 1990’s. Their website has a page with all the safety information if you’d like to read the details. The only downside of this product is it’s not always easy to find locally. Not sure why this is, as it seems there would be a constant demand for it. Anyway – hop over to Amazon and read the reviews.